We’ve been in Chile for about a month now so I think it’s time to share my Chile visa experience. I applied for a Chile visa in Guyaquil, Ecuador. This was while traveling through Ecuador so it’s important to say that I wasn’t a resident there. The Chilean consulate requested hotel reservations and proof of financial solvency (I submitted credit card copies for this..). I was told that it’d take over a week to process the visa. Sure enough, after a week, they called and asked me to come in for an interview. The consul was very polite and friendly. He asked me why I wanted to go to Chile and I explained to him that we are travel writers and go to different countries and write about them. He assured me that they would try and process the visa as soon as possible. The next day my visa was ready. Once the visa was approved, they asked me to pay $58 at a bank nearby and then come in and collect the visa. This is something that’s great about Chile, they ONLY charge you for a visa once it’s approved. They stamped by passport with a 90 day single entry visa. I’d also like to share another experience here. One of my friends came to visit us from India. He applied for his visa in New Delhi. It took about 8 working days from submission to getting his passport back with the visa stamped. He had to submit airline tickets, hotel reservations, and bank statements. However, the consulate was quite efficient and processed the visa in a timely manner. There was no interview required in New Delhi, India and a 90 day single entry visa cost $60. For anyone looking to apply for a chilean visa in India, the New Delhi consulate visa requirements are listed here. We’re now in Santiago, Chile and the view of the surrounding mountains is amazing! There’s also a surprising amount of yoga centers in Chile. If you intend to visit Patagonia it is advisable that you get a multiple entry Chile and multiple entry Argentina visa in advance. This is because in Patagonia, the roads many times criss-cross across borders between Chile and Argentina and you need to go through immigration each time. If you do not have the requisite visas, you WILL NOT be able to make these trips. Examples: Bus from Puerto Montt to Punta Arenas, or the entire route down the Carretera Austral. All these routes include multiple border crossings. If you do not get your visas, your only option would be to fly to Punta Arenas and then see things up north including Torres del Paine. However, you will not be able to explore the areas between Torres del Paine and Puerto Montt. Furthermore, you will not be able to take trips from Puerto Natales to El Calafate and the Perito Moreno glacier. Seriously, it was that easy?! At the Chilean consulate in Buenos Aires they told me it would take 20 working days to get a tourist visa! I gave up because that seemed so ridiculous! But my struggle with the Peru visa continues. Went to the embassy in Santiago and they asked for a letter from the Indian consulate in Santiago saying that I am a tourist here and I plan to visit Peru as a tourist. (as if my presence and guarantees mean nothing :P). i went for a tourist visa interview at delhi ,after the interview, they took my passport, i asked them when you people give the response ,they said we will inform you with in a week,they didnt give any slip .but one week already passed , does this mean visa will be given? or denied,. please help me ashray . They won’t take your passport to deny a visa. Why would they do that? They take a long while to print visas but did you pay the stamping fee? That’s an indicator that it has been approved. hi the same thing happened with me today can you tell me what happened after that? did you reapply? After you get married, yes. Before – I don’t know. I am visiting santiago on Nov 14th 2013 and travelling to patagonia from there. Do you have any tips for short term rentals near santiago.We would like to explore the scenic areas around santiago before going to patagonia. Nice to read about your travel plans in Chile. Santiago and the surrounding areas have a lot of cool things to see and do! Don’t miss out on Valparaiso too! I am looking to settle down in Chile, i have to start from the begining on a working visa. As i am a IT consultant in india with around 15 years experience , are there any job vacancies available for guys like me without spanish language. Please suggest me to start up!! HI I am looking for good and cheap flight to Chile from Dubai . Can you suggest me any good connection . My initial plan was a quick vacation to Santiago/Valpo/Mendoza for 10 days. I got the Chilean multiple entry visa for a duration of 10 days (ridiculous). However, things changed rather quickly, I am currently in Ushuaia planning to enter Chile to hike TdP. Do you think the immigration at the border will limit my entry to 10 days, or will they issue a tourist card for 30/60/90 days. 10 days is simply not enough to get to Punta Arenas then Natales then the full circuit and then to Argentina again. Do you guys remember getting a Tourist card on entry for Chile? Just a 10 day multiple entry visa ? :( They basically issued it based on the itinerary you submitted I suppose! So there you go, in future submit a longer itinerary – just in case!! I had received a 90 day single entry visa to Chile. We actually ended up staying there 89 days until we transited by land to Peru (I had a Peruvian visa issued in Santiago). There was no tourist card as far as I recall, just a stamp at immigration, Zara received a stamp for 90 days as well (but her’s was on arrival, for free – Portuguese passport). I think the tourist card applies to people who have to pay upon arrival like US/AUS citizens. 1. Request an extension once you are inside Chile. – Not sure about the procedure for this – but there definitely is *some* way to do this. 2. Before you enter Chile, see if the Chilean consulate on the Argentinian side can help you. Explain your change of plans and maybe they can assist you. There *should* be a Chilean consulate in Ushuaia. 3. Overstay and pay a fine when you leave. This may effect your future visits/entries into Chile though – I wouldn’t recommend this course of action to anyone but it is always an option. By the way, it must be AMAZING down there during the austral summer! YOU ARE SO LUCKY!! :) I hope you have an amazing trip and if possible, do please post back the results of your visa efforts here so that we can help out others along the way too! However, it may be that you can still extend a visa, it’s best to call the immigration department in Santiago and ask. Were hotel reservations and proof of financial solvency the only documents that were asked for in the embassy at Guyaquil? I am planning to apply there and i want to take all the necessary documents from India. The Delhi embassy asks for all sort of documents including IT returns and employment letters. I hope it is not the same there! For Hotel reservations I just made a bunch of refundable reservations via booking.com. I had learnt earlier to always make my itinerary as long as possible for the visa because I *may* just be unlucky enough to get a visa for 10 days if I show 10 days worth of hotel reservations. So I booked 20 days in Santiago, 15 days elsewhere.. all to a total of about 80 days in the country! They gave me a 90 day visa. The Chile visa system now is online though (it was not back then..) and the online system does ask you to apply in your country of residence. Basically you upload all the documents and apply online and then at a later date, get your application verified and visa stamped. This is a complicated situation for you because you *must* use your visa within 90 days. At the time, I had asked the Chilean consulate in Dubai if I could apply while traveling since the visa is only valid for 90 days. I did get an email from them advising that I can apply wherever I prefer. The rules may have changed now, though. Overall, I’d say that *if* you can get a visa in India and are actually going to Chile in the next 90 days, get it now. The uncertainty of calling different consulates and trying to convince them isn’t fun.. Also, the consulates in South America will speak Spanish and a little English (the consul may speak English but the assistants, etc. will probably only speak Spanish). This can be a problem if no one in your group speaks Spanish. In my case we were able to wing a lot of these things because Zara is fluent in Portuguese and Spanish. Also, what documents did you have to submit for a Peru visa in New Delhi ? i m bhavin from Gujarat. and i so want to go chile for tourist.so any one please help me out on this . even i recently apply for peru for tourist but they rejected my visa . now i m willing to go chile for few days . how can i go there sir ? ?and two years ago i went china for similar study .. I had uploaded all my documents on the online platform. However, I have received closed notification from the consulate twice. I have been unable to speak to anyone from the Chilean embassy over the phone. Any advice? Is this for the consulate in New Delhi? They are closed some days this week, maybe that is why you’re not able to reach them over the phone.. I’d suggest that you try calling on Monday around 11am. i am getting the same status so what did you do after that can you tell me? 1. Apply online on https://sac.minrel.gov.cl/ciudadanos. There is option there to read the form in English- extreme right top corner flags connote which language you want to use. 2. Ensure that the photograph you upload is according to the size mentioned on the online form. 3. You can use the same username for applying more than once. 5. Keep tracking your status online on application record section and keep your fingers crossed. 6. If your visa has been processed and you are having it collected through someone you may need an authority letter on Rs 50 Stamp Paper duly Notarized. The Stamp Paper should also have the photograph of person traveling duly stamped by Notary and signed by the person. 7. Also you pay once you get the visa. WHAT ARE THE DOCUMENTS I HAVE TO ATTACH FOR BUSINESS VISA. Your post about Chilean tourist visa for Indian has been of immense help. I am an indian residing in UK and applying for chilean tourist visa for our 3 month south american voyage. However, I am struggling with online application as instructions/manual is in spanish. Could you please help/assist/guide with following? 1. How did you upload the photo for 100kb size? 2. why wouldn’t the online form let me save half way ? Its either nothing or everything when it comes to saving the application form online? 3. there are three sections towards the bottom of online application form i.e. Contact Chile, Visited countries and Parent and Spouse – not sure what is requires in these section except ‘visited countries’ which I suspect the countries I have been to thus far ? I am travelling with my husband who is british – not sure if I need to add his details in the spouse section? Very confusing – just wish they could make the website a bit more traveller friendly! One more thing, there is no other Consulate for Chile other than the one in Delhi. But that should not be a problem as an applicant applies online. If the applicant lives in south India and applies online, how to get the visa stamped in the passport? I am Indain and last month January , I was travel to Nairobi Kenya. In between my travelling I have to desided to travel of any south American country and I applied for Chile tourist visa in consulate of chile at Nairobi. After apply within a week I got my chile visa. After got visa I came back to India for finish some work. Now I am ready to travel for chile but I want to know that can I travel direct to chile from india or I have to again arrive in nairobi then travel to chile? Please advise me I am now confuce. If you have a valid visa you do not need to go back to Nairobi. You can travel directly to Chile. Javed, I am not sure if you got the visa. You would have to get your agent to get it stamped or visit the embassy yourself.My agent had her counterpart in Delhi and got it done for me. Hi, You should ask the Chilean consulate in Bolivia. Most of the South American countries allow to travel between them as long as you have a valid Government ID. How did you go about getting an appointment with the Chilean Embassy in New Delhi? My visa has been approved and I need to go get it stamped but can’t figure out if they need an appointment for that? Thanks for your help. I just emailed them to setup an appointment. You can also try calling during the morning on a weekday. As far as I understand though, stamping does not need an appointment. You need to go there, get a slip, then go to the bank, pay for the visa, come back and give them the receipt of the payment. Then, they can either stamp your visa right then and return your passport or give it to you in a few days depending on the situation. I am leaving in Denmark having a residence and work permit. I have a business meeting next week in our office in Chile. I have only two working days before traveling day. Could it possible to get the visa in Chile embassy in Denmark with in two working days. I highly doubt that 2 days is enough but you could try asking the consulate. Always worth a shot although the usual timeline is more like 15 days. HI ANY BODY NEED ANY KIND OF INFO OR HELP IN SANTIAGO FEEL FREE TO CONTACT ME I FROM PUNE AND I AM WORKING IN SANTIAGO FROM LAST 4 YEARS. @Dholan Hey, I am from India Pune too, I am looking for jobs in Santiago, Chile. Could you please share your email address or Skype. I would get like to get some insights from you. @Dholan Hey, I am from India Pune too, I am looking for jobs in Santiago, Chile. Could you please share your email address or Skype. I would like to get some insights from you. Hello Dholan, I am planning a trip to Santiago from Canada. Would be interested to know more about traveling around Santiago. Cheers! I am planning to travel in Chile for longer than 90days. I have heard from some people (from countries with visa on arrival) that it’s quite common in Santiago to go to Mendoza and get a new stamp for 90 more days. Do you know if this works with an Indian passport? Have you heard of anyone doing this with an Indian passport? Or will it have to be a new visa application to Chilean Consulate in Argentina? Coming back to Delhi for this will be so expensive, it’s almost not an option for me. Any other ideas? My travel plans changed after i got my visa, My visa expires August 30th. I can enter on 20th and wish to stay for a month. Do i need to go again for a visa or can this be taken care once i enter the country? I haven’t dealt with that situation but you get 90 days to enter from the date of stamping and you should be able to stay for the number of days your visa allows you to. Does your visa carry an expiry date apart from the 90 day entry requirement? Hi, I want to know one thing… If I have Chilean visa and after reach Chile, if I wish to go visit Argentina by road, is it possible? Can you please tell abt your experience as i am in same situation. My travel plan changed at last moment. Now I need to enter chile on 87th day from the date of issue of visa. I had my 90 days simple turism visa on 13oct2016. Does the 90 day validity start from date of entry?? I will b looling forward to you answer. I had a 30 day visa that was valid for 90 days. I entered Chile on the 89th day and stayed there for 2 weeks. But please confirm with consulate, rules could change any time. Thanks NK for answering my query. Can you please tell me where can I check the text from Consulate which you quoted here. Or is it the part of any email ? Interesting comments. I am planning business visit to Chile and Peru in August. Both countries seem to have complicated process. I will be applying in India first Chile then Peru. All the airline connections are through Europe or Brazil. Do I need to take visa for these countries as well? Most european countries do not require a transit visa for Indians any longer (the UK does, however, unless you have a US visa) and neither does Brazil. Still, without knowing the country you’re going through it’s impossible to tell! Dear Ashray, you have given awesome information here and are appreciable. 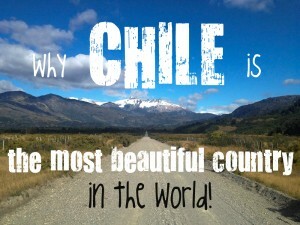 I am also sometimes think to settle down in Chile permanently. I am into a profession of import and export and working as Manager Exports, but also I am professionally Indian Cook. Ashray can you please advise that which profession is in demand among both in Chile? You both have given awesome information here and are appreciable. I am also sometimes think to settle down in Chile permanently. I am into a profession of import and export and working as Manager Exports, but also I am professionally Indian Cook. Ashray/Dholan can you please advise that which profession is in demand among both in Chile? Hi, I am k.rao from Mumbai i am married & have one child, I wanted to relocate to Chile & start my small hotel business.Please help me in my decision & procedures for immigration process.my email is skrao1970@yahoo.com. what are the cheapest flght ticket charges from India to Chile? I am going to apply for Chile tourist visa in the San Francisco USA consulate. How do I get them to give me a multiple entry visa? I am planning to travel to Argetine Patagonia before crossing the border into Chile to do the W trek. But I want to book my plane tickets from and back home in US to Santiago and then do separate tickets from Santiago to El Calafate and beyond. From the info I found online, looks like I will have to pick up my bags in Santiago and recheck them for El Calafate which indicates, I will have to go through customs and immigration. So I was wondering how I could get a multiple entry visa for Chile. Let me know soon. I plan to apply for visa in september and travel in November. You just need to explain your trip (in a letter), mark a multiple entry visa on the form, and pay for the multiple entry visa. If you’re going to go between Chile and Argentina a few times, that is enough for them to issue a multiple entry visa. It’s not really complicated with Chile. i am trying to find the visa application in the website of Chilean Consulate of New Delhi but i am not able to find it, (http://chileabroad.gov.cl/nueva-delhi/en/sobre-el-consulado/visa-para-chile/) May some one please help me? Ashray, hey! Do you know anyone who got a Chile tourist visa extension on an Indian passport? Is it possible? No I don’t know of anyone who did that. I don’t know if that’s possible but you can check with the extranjeria. Thanks a ton. The information was very useful. Appreciate your help! Would you have any inputs? Is there a number I can call at the consulate. I seem to only have an email id. Love your site! Found it both engaging as well as super useful. I had a couple of questions on Chile visa. Do you know what the processing time is, if I apply at the New Delhi consulate. All travel agents seem to give a wide range – from 6 days to 17 days. I am currently waiting for my Brazil visa. Am expecting to get it around 20 Nov, so I can apply for Chile around then. My flight is on 16 dec, so I am wondering if I have enough time. Also, is there a number for the embassy. All I could find was a mail id. :( Could you help? Thanks a lot! It could take up to 2 weeks as far as I know so you should plan accordingly. You do not need to submit your passport to apply though. The first step is to upload scans of all your documents online on their portal so you should start with that beforehand. They have a number listed on their website here: http://chileabroad.gov.cl/india/en/sobre-la-embajada/donde-estamos/ It is: +91 11 43100400. What the meaning of my status..?? I don’t know. You should call the consulate on Monday and ask. It means that you have to re apply again. Check your email, they must have sent you a reason why your application was closed. Usually you will get an email by the address sac@minrel.gov.cl explaining what went wrong. If you didn’t receive any email from them Call them on weekdays and give them your application number. what did you do after that because i am getting the same problem? 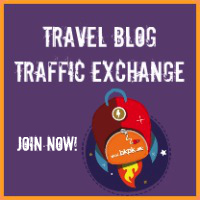 I appreciate your blog, I have applied for my chile visa online 04 Jan 2016 (new delhi) and still now it is not processed and i need my passport for travel to other country, the phone is never picked,nor there is an email id to followup, can u please let me know how many working days it requires for visa approval and does the approval come from chile or new delhi consulate. Once the approval has come, what is the process for stamping and how many days is required ? I am from Bangalore and my travel agent is of not much help other than telling me to wait,left with just 7 working days and i am worried, as my travel date is nearing. I had blogged below – I thought of answering your question. Did you check your status online? If so, what does it say? My father did not hear anything from the Consulate for a couple of weeks, and he kept checking his status online. It had said “enviar pago”, which means “send payment”. This meant that the visa was approved. Hi, I am an Indian having chilean residency. I had been offered job in Brazil so I moved to Brazil. My Brazilian visa is expired now. Can I stay and work here in Brazil without having visa ? You should check with your Brazilian employer or the immigration department in Brazil. That is a nice blog. I came across this while looking for a visa to Chile for my father. It is interesting though that your friend didn’t have a interview at the consulate in N.Delhi. We live in Chile, and my father had applied online (in Dec’ 2015). After about a 1-2 weeks, he checked online as it said “enviar pago” (meaning send payment). He didn’t think much of it until he told me, and I told him what it meant. Turns out that his visa was approved, but they just hadn’t contacted him yet. He went to the consulate while he was in Delhi for a work, paid the fees at a nearby bank, and got the visa stamped. He didn’t have to appear personally if he had a travel agent, but he didn’t bother about a travel agent, and got the visa himself. Because he was staying with us, he didn’t have a hotel reservation. We sent him a notarized letter saying that we are inviting him, with both my husband and my signatures. So what does it mean..
hi there i have got an invitation letter from a friend in chile .can u please suggest me the way to apply online as my nearest consulate is in delhi ans i reside in amritsar in punjab..do i have to go personally to apply for my via in delhi or i can apply online? can anyone please tell me the web address to apply visa online. ?i cant able to find it on website. Applied for a Chilean visa via their website. Amazingly l, the visa was approved by Santiago the same day! I now have to go to the consulate to get it stamped on my passport. Really looking forward to my trip. Hi Ashray and Zara, its amazing you guys are traveling writers. I am planning SA trip this November. Argentina, Paraguay, Bolivia, Peru and Chile nd Brazil at the Iguaza falls. Will be flying to few places and rest by road, feery and hiking. I planned to visit Puerto Montt, Bariloche, Villa O’Higgins, El chalante, El Calafte through torres national park finally Ushuaia. Did you guys hike across Villa O’Higgins to El Chalante. I will be traveling to many towns and will stay in backpackers so do we need to show hotel bookings on all the towns for visa or just one hotel booking for one country would be better. I am a solo traveler and looking forward for my adventure. Will follow your travels. Have a nice trip. I am travelling to Santiago this June on Business Visa. Can someone help with tourist places must to visit and things to do on weekend. Please advise me how to apply for Chile visa for Vietnamese citizens. I am planning a trip to this country in this November. When should I submit my visa application and what is the most simple procedure for me. Hey I just Applied for the Visa and the status shows as En Espera. I just applied few hours back. How much time do you think it would take for the status to be updated and also if this status means it was Rejected? Hi Ashray or anyone experienced in Chile Visa please tell me, how to register in the site https://sac.minrel.gov.cl/ciudadanos for applying visa? I didn’t find any place to register, only a login page where you need credential to login. How to create login for first time user? I believe that’s the one you have to now use. You are spot on Ashray! I spoke to Chile Consulate New Delhi and that’s the new link. One change they have now as per new policy, if you have a valid US / Schengen Visa, you don’t need to physically visit Consulate in Delhi, sending passports and collecting the same as earlier will do. However if you don’t have those visas, now physical presence is mandatory for New Delhi, just like Argentina visa. Another thing, I subscribed this thread, clicking on on “Notify me followup comments by e-mail” however didn’t get any email after you replied me, may be you can check if it is working well. We are planning a multi country Lat Am trip and hence your help was invaluable. Thanks for all help! Keep Travelling! The physical presence policy sounds good because it’ll save a lot of people from the headache of having to travel to New Delhi. India is a big country after all! Good luck on your trip, it sounds like a great adventure! Yes Ashray got your email just now, nice to see its working again.. Thanks for your wishes on our trip, will bug you more on queries / tips if any. Once again, need your help. Trying to fillup the visa for Chile in https://tramites.minrel.gov.cl/Solicitudes/visa.aspx however on first page after entering all information when click “Continue” it doesn’t go ahead to next page (I believe “Applicant’s Identification” Section. I initially thought it might be sending some code in email to proceed but I couldn’t receive any code either in either of the 2 emails I tried. Do you know what’s going wrong? Am I missing something? Sometimes small chat can make wonder! I have been sitting since last Saturday and it a long weekend here, couldn’t connect Consulate and today even they were not picking up the phone. Being an IT Pro, The change of browser didn’t come to my mind, I just closed my Chrome browser and opened in Mozilla and gotcha! It started working. Thanks buddy for this timely help! Will surely share with you our journey through SA! Are you in FB? If so please message me in “Kaushik Shil” or search with shil.kaushik@gmail.com and lets be connected! Hi Ankit, in my experience it can take up to 15 days for them to say something. I applied on September 30th and still my application shows the status as ‘En Espara’. It’s been about 20 days since I applied. Is there a way to contact them and ask them about the status of the visa application? My husband lives in Brazil since 2008 with a permanent visa and asked for a tourist visa in Chilean consulate in Rio. Not only Chile, but we are facing this problem with Argentina and Uruguay. I want to apply for the multiple entry Chile tourist visa from India. The link that you have mentioned contains the list of documents required but it does not have nay link to download the application form. Can you help me with that? We are traveling from Punta Arenas to Puerta Natales by bus and back. Would you know if this route crosses over to Argentina? Thank you. No, the bus does not go into Argentina on that route. It’s a pretty straight highway between the two cities. I applied in Sept 30. It still shows en espara. How long did it take for your application status to change from ‘en espara’ to ‘payable’. For my wife’s application it got changed in 2 days only. I applied on 18th October and today it is payable. For my case it has been a week and the status is not changing. The only difference between our applications was that I did not click on the End/Finish button at the end of the application and after few hours it went into submit mode and I cannot click on it. Did you do the same or you clicked on the End button ? It ensures that your application is forwarded to the embassy. Did you upload any valid US/UK visa along with your application? And did you marked US in your visited countries list in the application? For the first application I think I may not have clicked the finish button. But after sometime I contacted the local Chilean consulate in San Francisco. They gave me a list of documents they wanted me to upload and asked me to start a new online application. The new application was approved within a few days. Then I went to the consulate to get the visa stamped on my passport. It was easy. Your blog has always been so helpful! I am an Indian passport holder living in United States. Whenever I search Google about visa requirements, I put bkpk.me keyword to directly go to your page – other web resources haven’t really been so concise. Well, I will be traveling to Chile and I am planning to cross the border to go to Argentina too. I will have the Chile Tourist visa stamped on my passport and I will be arriving via Santiago Airport. Do you know if Indians are required to pay the “Reciprocity Fee” for either Chile or Argentina? I know a few nationalities including Australia and Mexico are supposed to pay this Recoprocity Fee, but I couldn’t find any information in case of Indians. Grateful if you can provide any update! Thanks for the kind words. There is no reciprocity fee as long as you already have the visa. It doesn’t apply to Indian citizens. It should be fine as long as you submit all the other documents. If they ask for bank statements or other proof of financial solvency though you will need to show them. Visa says it valid for 90 days on bottom mean time it says duration of stay 90 days so it means within 90 days I have to enter once enter I have 90 days I can stay there right ? Embassy told me when I back from trip show my passport when I applied I have given date which I depart to brazil but as got urgent project so I’m going bit later within 90 days so do I need to inform and say embassy I will go bit later or no need as far I enter brazil during visa validity time ? Hello, I am applying from the US at the SFO consulate. I completed the application via https://tramites.minrel.gov.cl on Dec 14, so its been 4 days now. The status still shows En Espera. Anybody applied from the US here? How long does it take for the status to change? Should take total of 7-10 working days for status to change. I applied from San Francisco about two months ago. You should hear from them within a week after applying. I recommend emailing SANFRANCISCO@consulado.gob.cl and sending them your application details. They will respond to your email in a day or two and subsequent communications by email are are pretty quick. Also let them know which documents you uploaded. Later when you go to the consulate in person take the BART to Powell station and they are right across from the station. Parking is extremely tough. Thanks for the info, nice to know you actually applied in SFO. Yeah, I have emailed all the docs on Dec 14 itself but haven’t got any emails from them yet after 2 follow up mails. Also, how long did it take for you to get your passport stamped with the tourist visa? Did you apply for yourself only? I am traveling with my wife, so we have 2 applications. If you have already emailed them not to worry. The thing is the visa application is processed by Chilean officials iin Chile. The SF consulate does not have much control. I was told it could take 2-4 weeks by the person in consulate. The first time I applied I think my passport scan was sideways or something. So they rejected it. When I applied again it was very fast – in about a week or so I got news from SF consulate that visa was approved. I think the SF consulate people get involved in the process and take action and help with stuff after the first one gets rejected. FIRST NAME_LAST NAME PHOTO.jpg (your photo must be an official passport photo size: 2*2 inches, white backdrop and your face must be 2/3 of the picture) and send me all the files after you submit online. 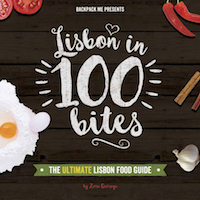 Be sure your picture is less than 100 Kb and the right position as a jpg file. You can find online application below the visa information that I gave you above. And yes, I applied just for myself. Hi, quick question, I’m starting my application and wanted to know if you have to go in for an interview like for the Argentinian visa or not? I’m based in Minneapolis and will be sending my documents to Chicago consulate. In San Francisco I had to personally appear at the consulate. I won’t call it an interview. Just personal appearance. Not much was asked. They take your thumb prints. Hopefully it doesn’t coincide with my Argentina visa interview. There is no validity end date written on the visa. It says it has validity of 90 days. I am looking forward to your reply. muchas gracias! You can enter any day within 90 days. 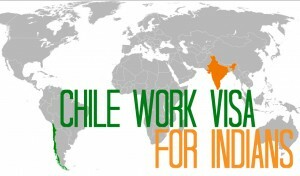 Can you help me with the link to track Chile visa applications submitted in Delhi? It is the same link where you filled up application form. I read about how you got Chile visa from Ecuador and you were in Ecuador as a tourist and not resident. How you were sure about getting a Chile visa being a tourist in Ecuador and not resident. Generally you have to apply from India(Resident country) right? I am confused because same principle doenst apply for Europe. For e.g if you are on a tourist visa in UK, you can not apply (i mean you can but application would get rejected) for schengen visa from any of the counsel simply because you are in UK as a tourist and not a resident here. I asked the consulate and they were willing to process my visa even though I was a tourist in Ecuador. You should ask the Chilean consulate for more information on this. It is possible to renew your ID card from abroad. Ask the Chilean consulate in New Delhi. Quick question, I’ve finished the form and submitted it online, it’s currently en espara. Do I need to send anything across to the embassy now (i.e. my passport) or will they process it and let me know when I have to mail my passport to them? If you’ve uploaded all the supporting documents then you just need to wait for them to get in touch with you. Myself as Sangam from Hyderabad, India planning to work or settle in Chile. i was gone through some blogs but iam in confusion. what is the first step, do i get the job before step into Chile? or just get visit visa, reach Chile, apply for temporary residence visa and get the job? My online VISA status says CERRADO. What is that supposed to mean? Did your visa get processed or did Cerrado meant it got rejected? You need to ask the Chilean embassy closest to your location for assistance. Hi. I am Chilean. Chile has established agreements with countries all over the world in order to be visa free as long as Chileans also get free visa everywhere. The fees Indians pay in Chile are unique to Indians (nobody else pays that) and correspond to what Chileans are requested to pay when applying for an Indian visa (which is not refunded when rejected). I know it’s frustrating to have to go through these ridiculous outdated burocratic procedures, but the only way to push for a change is pushing in your country for free visa for foreigners and reciprocity will do the rest. I have been a couple of times in India (I love the country) and can attest to how procedures are confusing and absurd, including a rejection in KL just for not being Malaysian (without refund). Indian backpackers could get organized in facebook or such in order to raise awareness in authorities about the obsolescence on the strict tourist visa rules. Right now for example I am enjoying 3 free months in Thailand, where I am also learning the language, which I would have preferred to have done in India, but couldn’t be bothered with the absurd processes (for example on addition to visa fees, 10 dollars are requested for a “fax” to be sent) and the random possibilities of rejection (based on experiences on forums). Travelers of the world: let’s unite and make borders a friendly open area so that traveling is encouraged instead of the opposite. as i applied for chile tourist visa from india……i gave interview on 25th of may then she told me get some documents like noc and graduation degree i provided her all the documents then she says we will let you know tomorrow regarding this ,afer 2days i checked it online and the status says “validar antecedentes ” then after 10 days my agent got an email from consular that you can collect your passport anytime between 11:30am to 12:30pm i went there but in the embassy the lady who took my interview said its still pending we will update it by tomorrow you can check it online then i checked it online it turned to “cerrado”that means closed …..and today i decided to go again she said it is rejected and you can take you passport and i asked her the reason why it is rejected she said decision is made by the consular ……so now should i reapply and after how many days i can reapply ….my brother inlaw sponsored me…..BUT I NEED TO TELL YOU ONE MAY THAT CAN RESOLVE THE REJECTION ISSUE INTERVIEWER ASKED ME TO GET THE passport copy of my sister and i got it for her but there was a different last name of our father on the passport i have sharma and she has kumar then she asked for birth certificate i gave her that as well but out name was not there on the bith certificates…..pelase help me if you can should i reapply but what changes i should make hel me pelase. You guys have been my bible for most Visa related problems I faced in SA. Thank you so much! Wanted to know if there is any Visa exemptions regarding Chile for Indians with Valid US and Canada visa? I have a flight from Arica to Sao paulo. I do not intent to travel around in Chile this time. Hoping to apply for Visa from Cusco. Let me know your thoughts please. Bhavin here. I am an Indian living in Brasil. Do I need a transit visa if I take a flight through Chile? Hi Bhavin, I don’t think you need a transit visa for direct airside transit. However, if you’re entering any cities in Chile, or flying internally, you would need a visa. Nice blog with all the details much appreciated . I have applied for work permit in Chile.Just wanted to know whether approval will be given based on the scanned documents or physically all the documents needs to be sent to Santiago Chile by consular? I believe the consulate verifies the physical documents that you have and will reverify with the authorities in Chile through their internal system. Thanks Ashray for your help and support:). Can we reapply in case of rejection? Why should you get rejected? By the time you receive the physical documents most approvals are already in place. That’s as long as your employer has followed the right procedures. You mean to say before sending Invitation letter and contractual agreement to me employer internally take care of approval with Chilean authorities (Physical documents I am referring it as invitation letter contractual agreement ).? They may or may not have done that. Usually the application has to be approved by the labor department and as long as that approval is in place, there isn’t usually any objection from the consulate, etc. Perhaps you should read this article about the Chilean work visa process. I have gone through that artical many times,it is really helpful. Thanks mate for such detailed information.I don’t know whether it is approved by labor or not finger crossed. One last question buddy I need your help here.I just wanted to know hand writen medical certificate will not cause any issues rt? I have submitted medical certificate which is hand written by doctor. If they ask for a printed one, just print one out yourself and get the doctor to sign it. do you have any idea on online visa application ? can you advice for the same ? i have not travel outside india and if i apply first time for chile visa than what is success ratio ? I applied for visa to chile here in Delhi. After giving interview i was told that i will be informed about the status but no reply came. After more than 10 days I mailed them and came to sadly known my visa has been rejected. I reapplied within hour and I got a mail from their official ID that my previous visa has been rejected and I can only reapply after 6 months. I presented them with return ticket of 30 days and every documents including financial stability. I am a student in my final year and I was going to visit my friend who work there and we have done all the bookings and it cost me all my savings since 2011. I have a non refundable ticket of 11th jan 2018. I know I have to accept my fate and there is no way that after losing my money I can ever go to chile in near future but is there any hope ? It’s unlikely that a rejection would be overturned. Perhaps you can ask your friend who is living there to speak to the consulate and see if there are any options? I applied online Chile business visa 5 may and 8 may status change Close. When i asked to embassy about close status then they mail me that apply again with all mandatory documents. I just want to know that Letter of Invitation should be Notarize by Chile or India ? 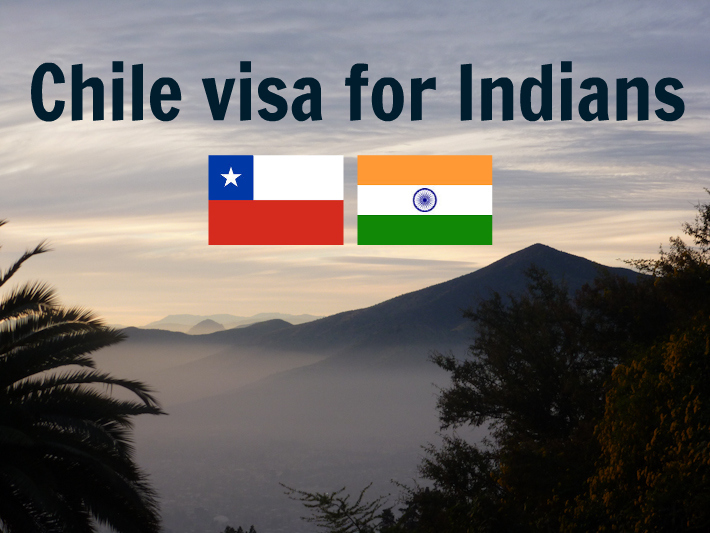 Can you please share for how long an Indian National stay in Chile on tourist Visa ? I am yet to apply for my VISA andI have booked my flight for duration of 2 month stay and i am not sure now if I will be eligible to stay for that length. Also i plan to travel other neighboring countries in between so the maximum length in one stay will be less than 30 days but entire stay will be around 45 days . yes it is normal the stamped shows when you have applied for the visa but what was the reason of rejection becuase i have got my visa rejected twice.? and is this the first time you will be travelling outside india?? THIS MEANS THAT IT IS CLOSED. THIS MEANS THAT YOUR DOCUMENTS WERE INSUFFICIENT…WHAT DOCUMENTS DID YOU UPLOAD? WHERE THEY APOSTILLED? YOU WILL NEED TO RE-APPLY. Your page looks amazing and looks like you and Zara do loads of interesting stuff. 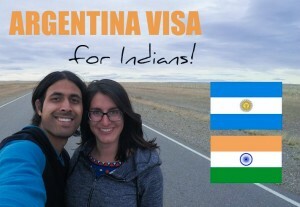 My husband (German) and i (Indian) intend on doing something similar for a year through S.America but I am seriously struggling with visas (as is every Indian!!). I live in London and have a USA 10 year visa. However I plan on quitting my job (hence losing my UK residence permit) and travel. For Argentina and Chile I need a visa far into the distant future after we go through Ecquador, Bolivia, peru etc. I know you applied for Chile visa from Ecquador – so my question is how easy is it? Can I do this for Argentina? Problem is I wont have a job for getting that letter and my bank statements will be print outs of a UK bank account! Do you think that would work? Or please advise how best to do it? It depends on the passport you hold to begin with. E.g. I hold US passport and I get visa upon arrival in Peru or Chile, however if I want to travel Bolivia, I have to pay a fee of $150 and up. It varies based on your passport. If you still hold Indian passport and intend to travel to Chile, your best bet is to contact the Chilean consulate nearest to you. I m 57 of age and having good health. I want to visit Chile. In 2015 I visited Malaysia .Can I apply for Chile? Hi,I applied work visa for chile .now the status is “closed”. what is the next step?